"Ngerorasin" also known as "Nyekah" (sekah) is held after Ngaben. 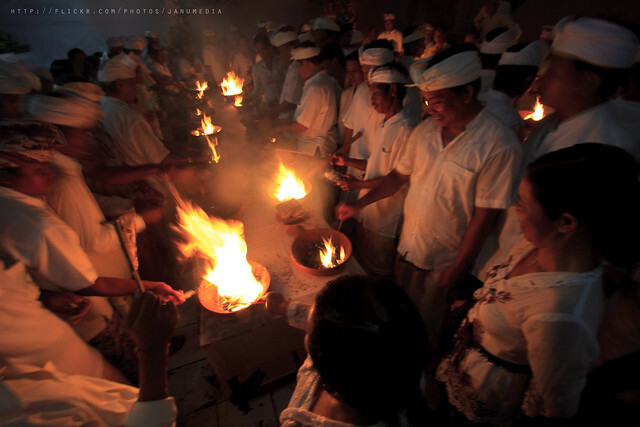 Ngerorasin is about soul / spirit purification. The ashes after this process will put into Sekah. And will throw ("larung") into the sea.